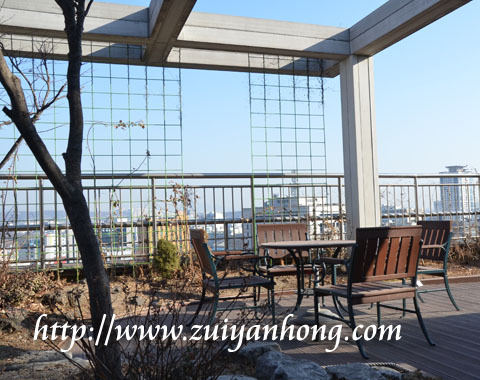 At blazing summer night, enjoy the cool air at the rooftop garden of Seoul Youth Hostel is truly a great pleasure. Relax yourself by having a cup of Korean aromatic coffee and fanning by the gentle summer breeze. The gorgeous neon lights of Myeongdong are sparkling in the distance. Put aside the annoying trivia while traveling and have a sweet journey in Seoul.